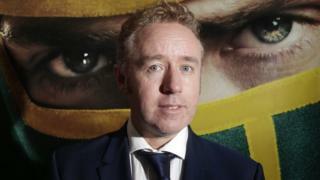 The first comic book stories by Scotland's Mark Millar that will be adapted as films or as series by Netflix have been announced. The streaming giant bought Millarworld, founded by writer Millar from Coatbridge, last year. The first comics to be adapted include Jupiter's Legacy, which is about superheroes' scandal-courting offspring. Another, American Jesus, about a boy who discovers he is Jesus reborn. The others are Empress, Huck and Sharkey The Bounty Hunter. In a post on Facebook, Millar said: "I told you some mind-blowing stuff was coming and here it is. "Announcing the first set of TV shows and movies from Netflix based on my comics. And this is just the beginning." Millar, who lives in Glasgow, started Millarworld as a creator-owned comic-book company almost 15 years ago. His was the first ever company acquisition in Netflix's history, and he is president of the streaming company's Millarworld Division.